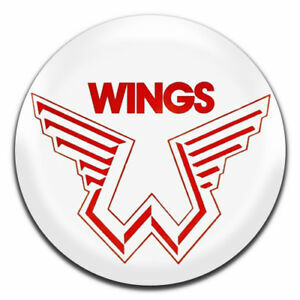 Pictures of various collectible T-shirts and buttons from past concert tours, etc.  I went splurging on eBay for T shirts I bought at least 6 new ones for me to wear and I got a hat with his name on it a white one. 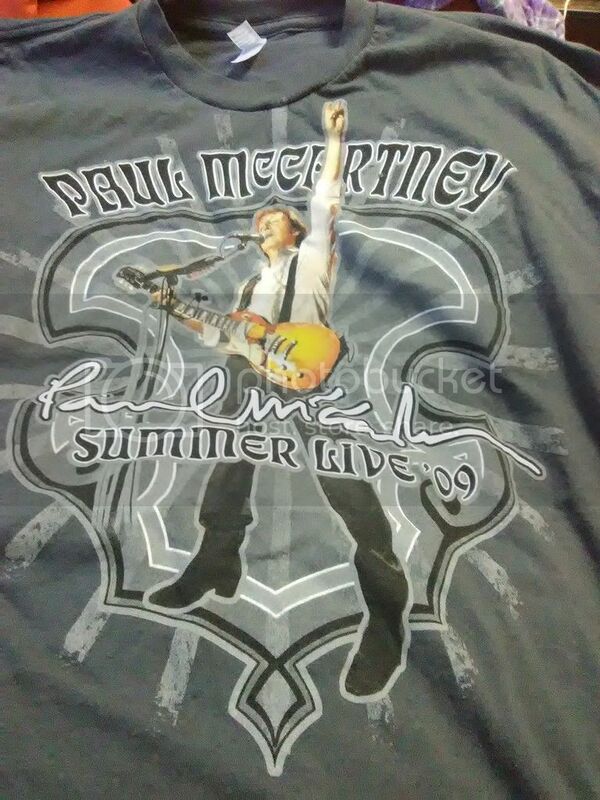 So when I go to see Paul I have a whole wardrobe of Paul T shirts to choose from to wear at his concert lol!!! buttons are they badges ??? "All those moments will be lost... like tears in rain"
I snagged this t shirt off ebay that somebody was selling! I tnk this one is one of my favorites. I just got it in the mail yesterday lol! 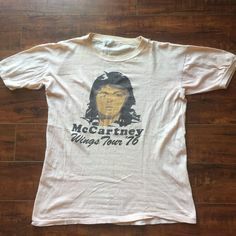 my new hobby is collecting t shirts with Paul on them and so far I collected 10 and I am eyeballing a few more on ebay that I wants!!! 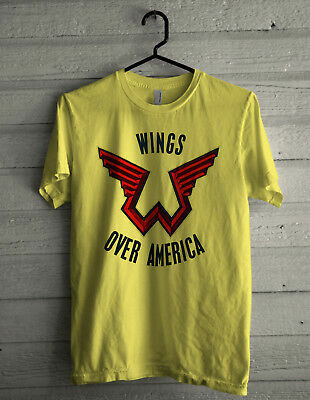 Another one I swiped off ebay most of the t shirts I got from ebay and a few from Amazon. 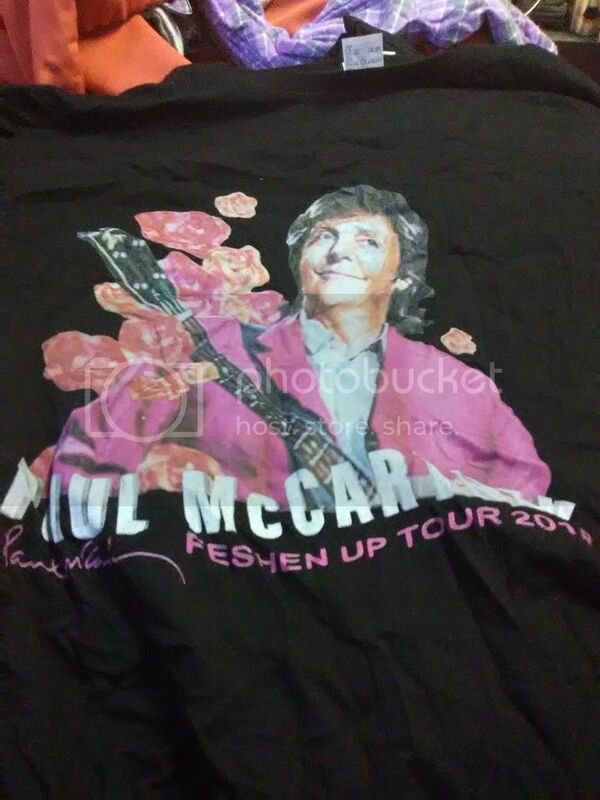 I simply typed in Paul McCartney t shirts on ebay a nd voila! 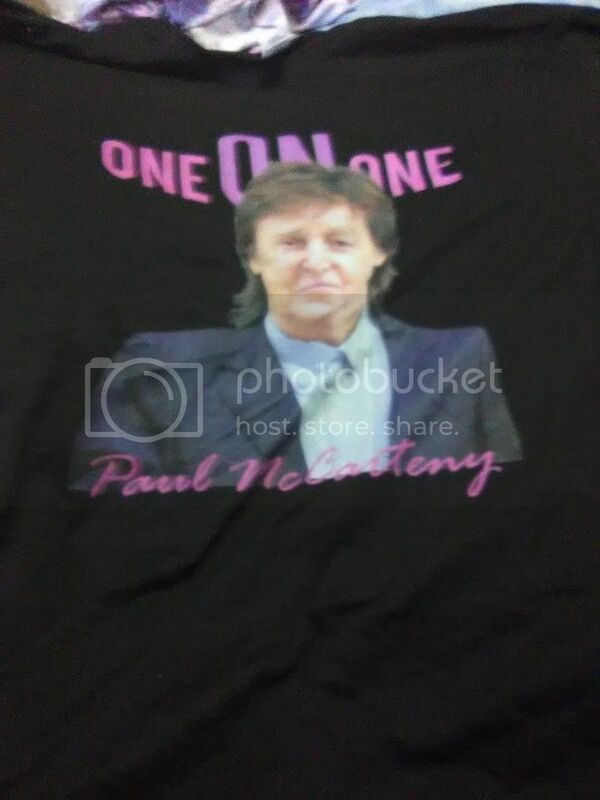 I found a gold mine of Paul t shirts! Where is the “R” in the word FRESHEN? This one I got recently as well. All these Paul t shirts I have Im gonna have a hard time deciding which one to wear at his concert! lol! Not sure about that I guess they made typos on the t shirts when they made them. 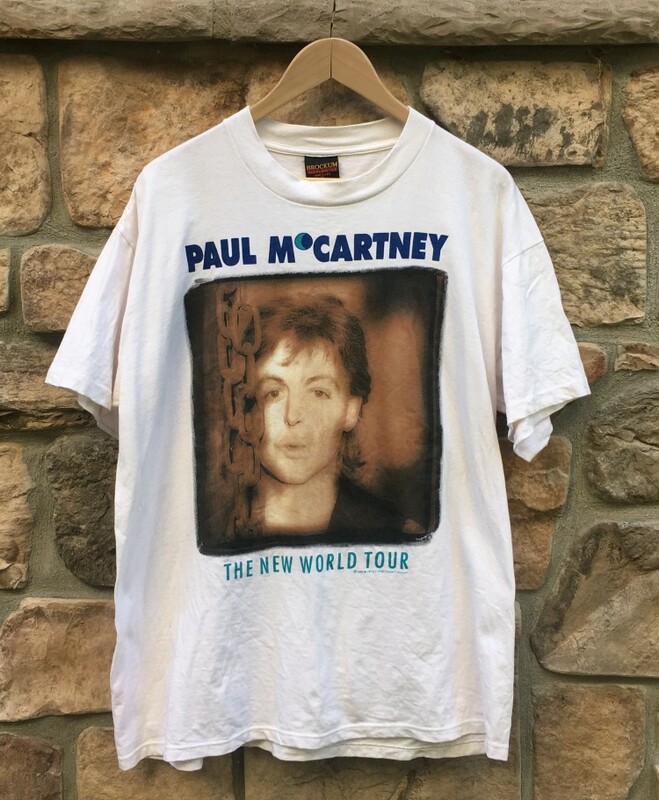 I just love the photos of Paul on the t shirts. 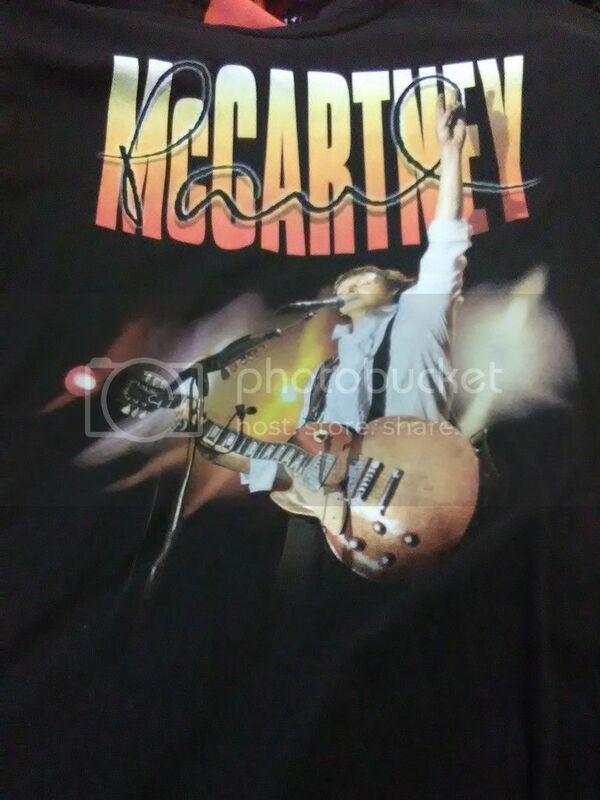 Another lovely t shirt added to my Macca wardrobe! lol!!!!! 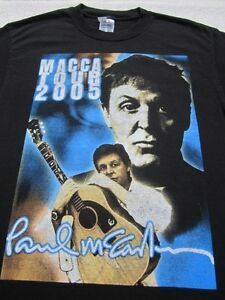 Im gonna get a few more Paul t shirts this weekend that I have been eyeballing on ebay hee hee!